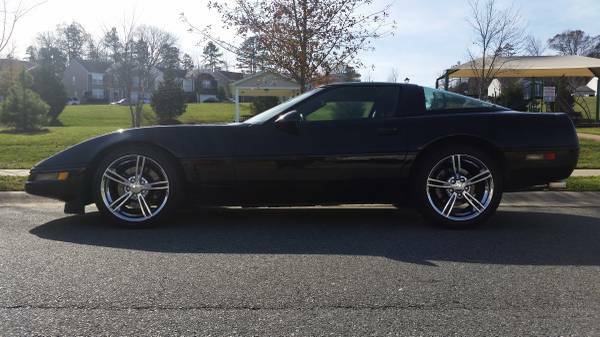 1995 Corvette "Triple Black" Black exterior, Black leather interior and trim. 5.7 liter LT1 300 HP 340 lb-ft torque ZF manual 6-speed ( No aftermarket modifications to engine or transmission). Factory aluminum drive shaft and Dana 44 posi-traction rear end 3.45 ratio with traction control. 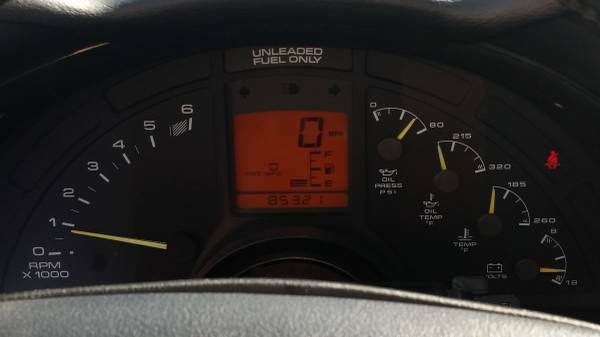 85,000 original miles vehicle is in excellent condition inside and out. 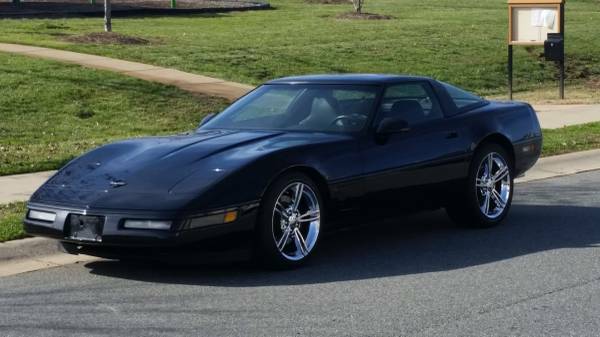 Vette is Highly Optioned Preferred Equipment Group One RPO AG1 and AG2 as well as FX3 electronic selective ride handling ( tour-sport-track). 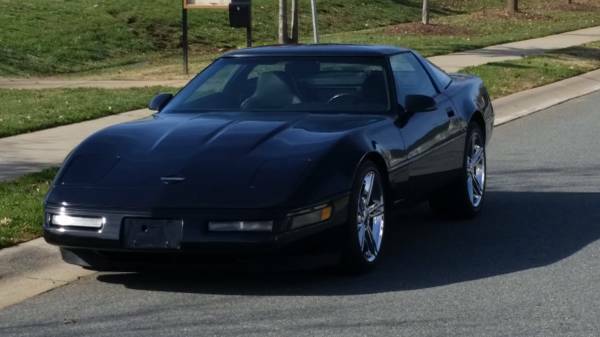 Vehicle is 98% original Bose radio was replaced with a Kenwood cd player (Factory harness was not cut Bose system can be reinstalled) Exhaust from the cats back have been replaced with a stainless steel Borla system, which also can be put back to stock if desired. Factory production parts labels (stickers) are still on the car. 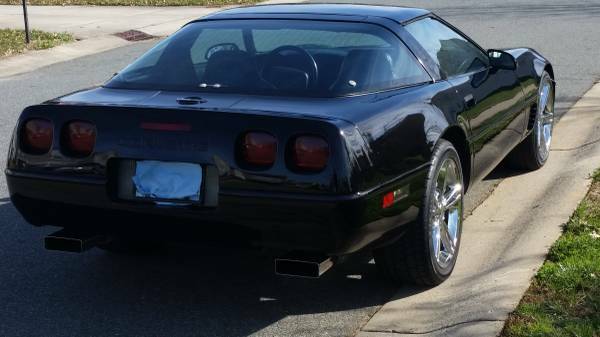 Copyright © 1998-2015 Corvette Trader Inc.